While Orlando may be Florida’s most famous city, there’s plenty more worth seeing around the Orlando area as well. 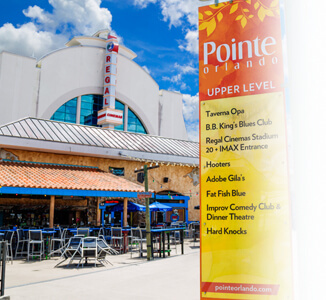 Whether you’re looking to get back to nature, lounge around on sandy beaches or enjoy cultural icons of the area, the various communities around the Orlando area ensure that you’ll find exactly what you’re looking for during your Florida vacation. Kissimmee is the one community in the Orlando area that has something for everyone. It has a prime location just minutes away from world-renowned parks and a host of other family-friendly activities. Many vacationers see no reason to leave Kissimmee during their stay to visit the theme parks. From hot-air-balloon rides, nature excursions, to helicopter tours and water park adventures, this gem is packed with plenty of fun for everyone. Highway 192, which runs straight through the heart of Kissimmee is home to many great restaurants, dinner show venues, mini-golf courses, outlet shopping centers and more. One of the best parts about vacationing in the Orlando area is that you’re close to the theme parks. But you’re never more than a short drive from the ocean! Of all the beach communities within 90 minutes of Orlando, none stands out like the city of Cocoa Beach. Located on a barrier island of Florida’s space coast, Cocoa Beach is around 65 minutes from the heart of Orlando. It’s also the location of some of America’s most beautiful shorelines. Alan Shepard Beach Park in particular is close to all kinds of stores, eateries and beach-bum shops, and enjoys family-friendly features like large picnic pavilions, showers and restrooms and seasonal lifeguards on duty. Located north of the Orlando area, Winter Park was actually once considered a winter resort for snowbirds from the North. Today the arts and culture filled town includes Rollins College, the Cornell Fine Arts Museum and Charles Hosmer Morse Museum. Winter Park also happens be a haven for those who love spending time outdoors, with its well-known Harry P. Leu Botanical Gardens. There are over 70 various parks which host events throughout the year in Winter Park. Just west of Orlando and its famous theme parks, Winter Garden and its wide range of activities are definitely worth checking out. Home to the Orange County National Golf Center and Lodge. It operates three of the area’s top golf courses. Winter Garden is a premier destination for golf lovers who care to hit the links while on vacation. For those who don’t play golf, the quiet community enjoys a wide range of parks, museums and special events. Seek out the beautiful and historic Garden Theater, a classic Mediterranean Revival Style venue that hosts live plays, concerts, movies and more. Only 20 minutes from Orlando, Oviedo enjoys a quaint, small town feel that sets it apart from neighboring areas. While a smaller city, Oviedo continues to grow and attract visitors by preserving its old Florida charm. It hosts various outdoor festivals and a monthly farmers’ market where visitors can sample fresh local produce. For those who would like to enjoy the great outdoors, Oviedo is home to an abundance of freshwater lakes and hiking trails. Maybe you could take advantage of the air boat tours or spend the day observing the area’s natural beauty. Call TOLL FREE NOW on (866) 934-9177 for more FREE tips!